Admittedly I was a bit cautiously optimistic about the Deadpool game when High Moon Studios first announced it. 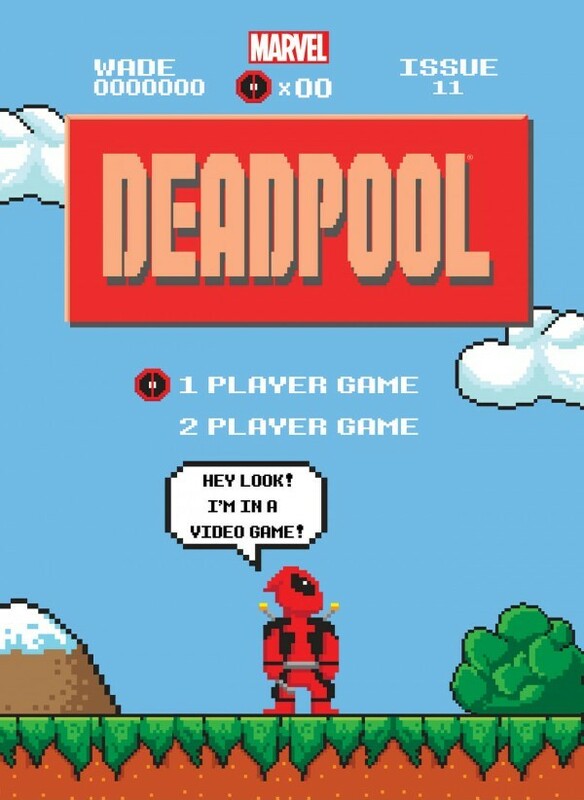 Don’t get me wrong, Deadpool is an awesome character and if anyone deserves their own video game, it’s him. I was just a bit worried that, well, initially that it was just going to be a cheap churned-out cash-grab piece of trash like so many other comic book video games in the past (*cough*Aquaman*cough*). But I was also nervous because I wasn’t sure if a somewhat grating, ultra-violent, borderline-psychotic, somewhat needy, completely batshit-insane, fourth-wall breaking character could do well as the main character in his own video game. Deadpool, real name Wade Wilson, was born in Canada and was a mercenary before being diagnosed with cancer. He was enrolled in the Weapon X program, the same program that gave Wolverine his adamantium skeleton, and was given Wolverine’s healing factor which keeps his cancer at bay and makes him virtually unkillable; it unfortunately had the side-effect of rendering his body hideously scarred due to the accelerated growth of his cancerous tumors, which is why he constantly wears a mask. Considered something of a failure, he was ejected from the Weapon X program and entered into the Hospice, a government facility where failed superhuman operatives were treated. It was also where patients secretly underwent sadistic experiments, with patients placing bets in a “deadpool” as to how long each patient would survive. Not exactly of sound mind to begin with, these experiments helped crack Wilson’s insanity even further, and during his near-death experiences during the experiments, he found his romantic kindred spirit in the cosmic entity Death, the female embodiment of the taker of souls, as the name implies. His affair with Death would also catch the attention of Thanos, who has something of an obsession with Death himself, and thus he made him immortal so that the two could never be together, thus eliminating Wade as a rival. Escaping the Hospice, Wilson took the name Deadpool and became a mercenary for hire. Am I Done With Anime?